To skinny, not wide enough for a floor mat,only 12 inches wide. I thought it would be thicker. I am keeping it because it is too much trouble to return. I still like most of your products though. this is not at all what I expected, it is not heavy duty. I love the "runners" I bought. 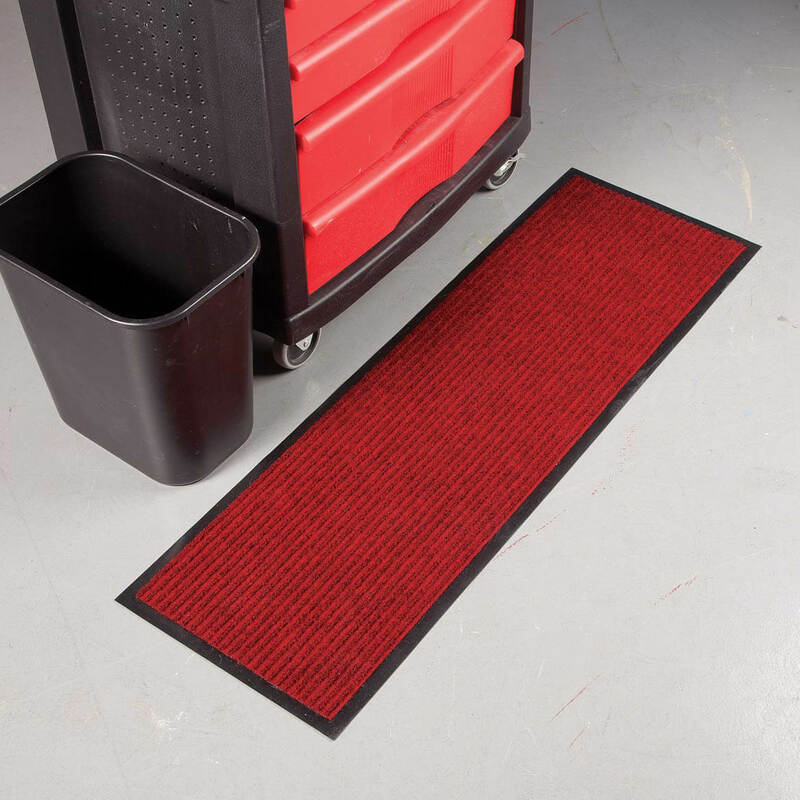 These rug runners stay in place and they look nice. I liked them so much I ordered them again. THE CHARCOAL IS FOR INSIDE OF FRONT DOOR. THE BRICK ONE IS FOR THE END OF THE HALL WHERE MY CAT (BELLA) HAS TAKEN UP THIS AREA FOR HER NAPS. THE SHIRT IS FOR ME JUST BECAUSE I LIKE IT! Looked like the type to lay flat and not trip you when you walk on it. Will use it inside for the outside doors. I am going to use this in my car back seat for the dog. 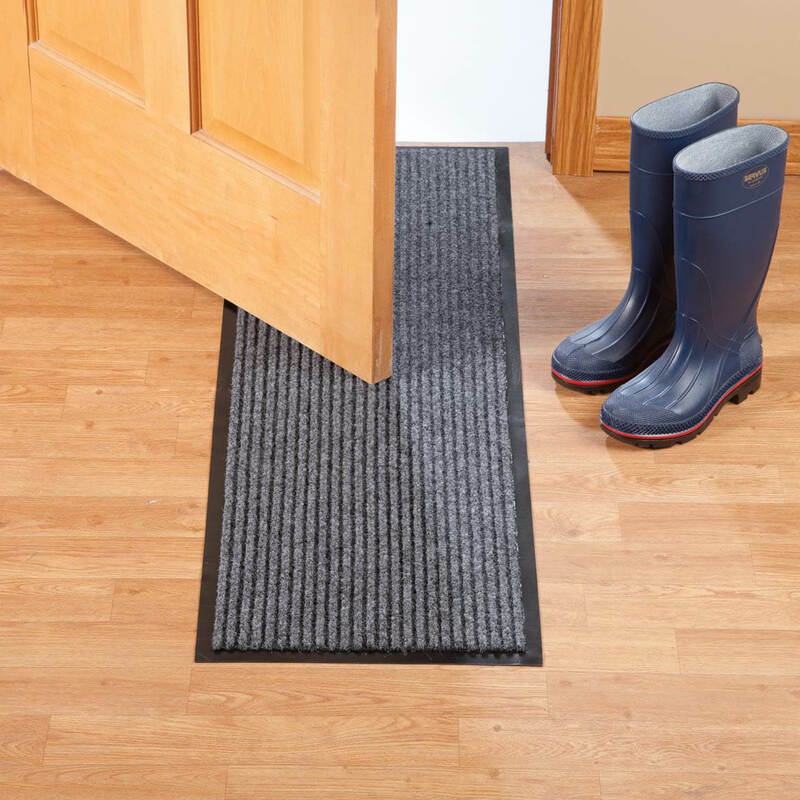 Need an economical runner at entryway, this looks like it might do the trick! I need a better rug than I currently have. Mine is a trip hazard. I use it n the front door to keep clean the floor. We just had solid Oak floors installed in our entry hall and this appears to be good protection. For the 20% off, which I did not get! Can really use this in garage entrance into house. My cats track in mud on rainy days so I need to save my carpet. with three dogs & a cat in the house, I need a hallway rug that is easy to clean. Plus they get rid of the echo sound. WINTER is here and this saves a lot of slop brought in the house! I needed a heavier rug for under a rolling cart. 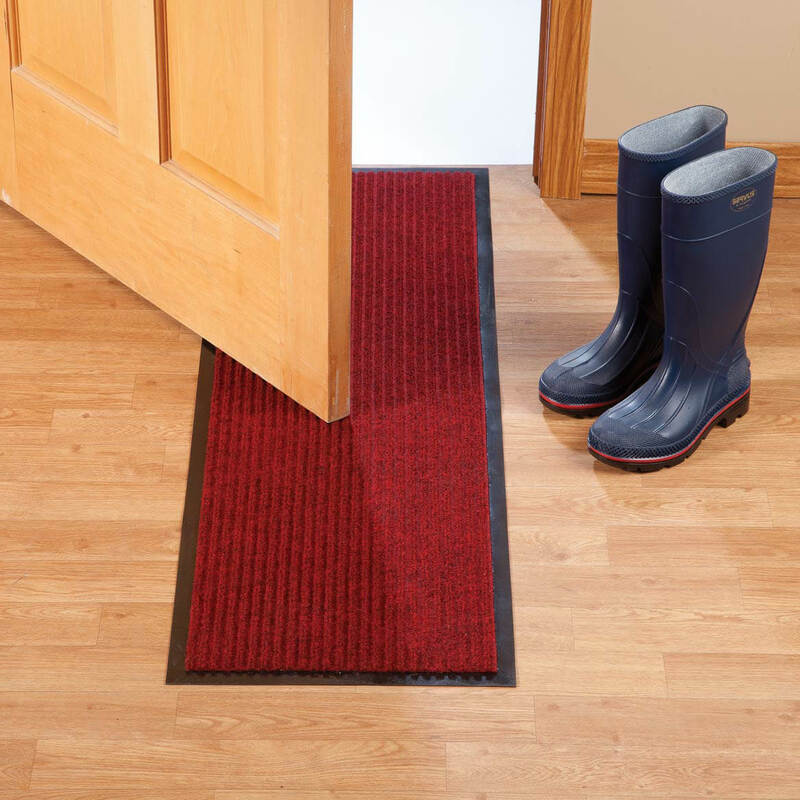 I needed something outside my sliding doors in the back, and outside my front door to stop dirt from coming inside onto the carpet from feet. It replaces rug in front of washer/dryer in laundry room. Plan to use this outside of the garage doors. 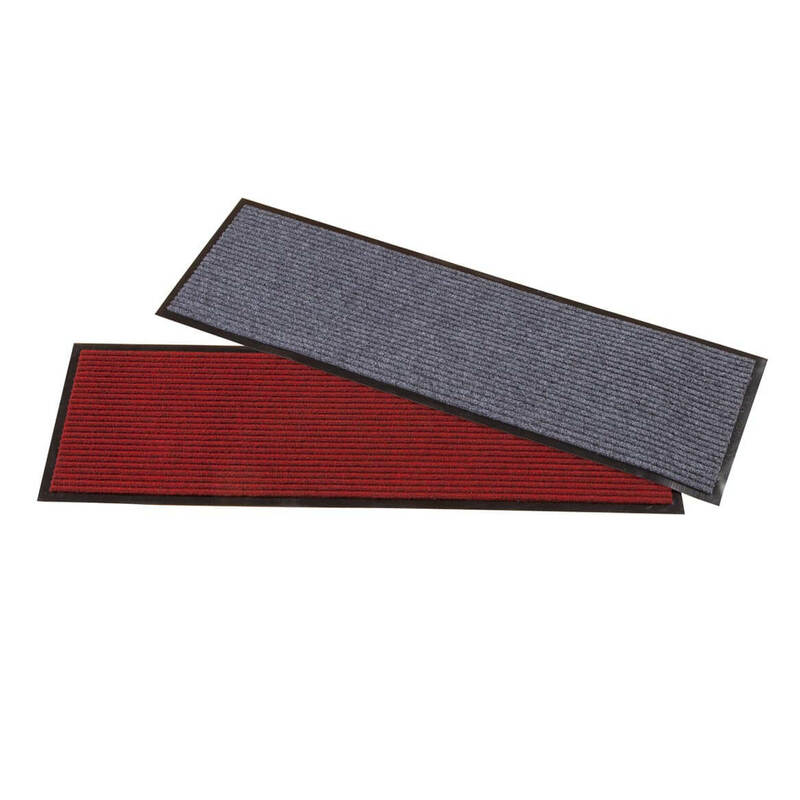 The door mat we are using is tearing around the edge and needs to be replaced. 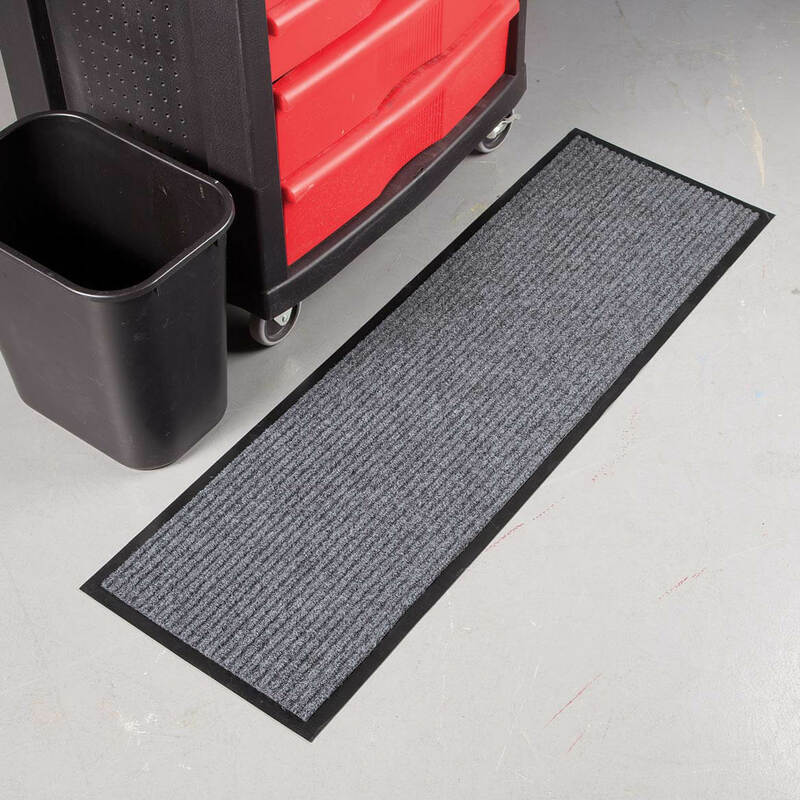 This mat is narrow and suits our needs. I think the polypropylene surface will wear better than other rugs made of olefin. To place in front of dog door so the dogs won't track dirt in kitchen. I liked the size and color as well as the fact it is non-skid. I need it for my deck. My husband is landscaper and always bring a lot of dirt and dust in the house. With this mat I can control the amount of dirt that he drags inside. Easy to vacuum or hose down if needed and the rubber at the bottom helps keep it in place. Is it paper thin so I can open my door? BEST ANSWER: It is not paper thin. It will depend on how much clearance you have between the door and the floor.